MC Lyte – Still Rocking With the Best! 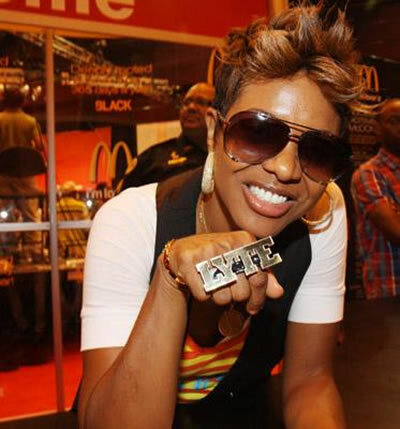 Lana Moorer aka MC Lyte has been the flag bearer for women in Hip Hop over the last 3 decades, kicking in the door and waving the 4’4 on any emcee or rapper daring to think different. She has and continues to change the game for female lyricists the world over, bearing the strength; power and knowledge of the hip hop game through the eyes and words of a thorobred lyrical champion. MC Lyte is and always will be a force to reckoned with and with her new album ready to drop soon, a hot new single burning up the airwaves and more projects than you can throw deuces to, Ms Lyte still holds her ground and crown. 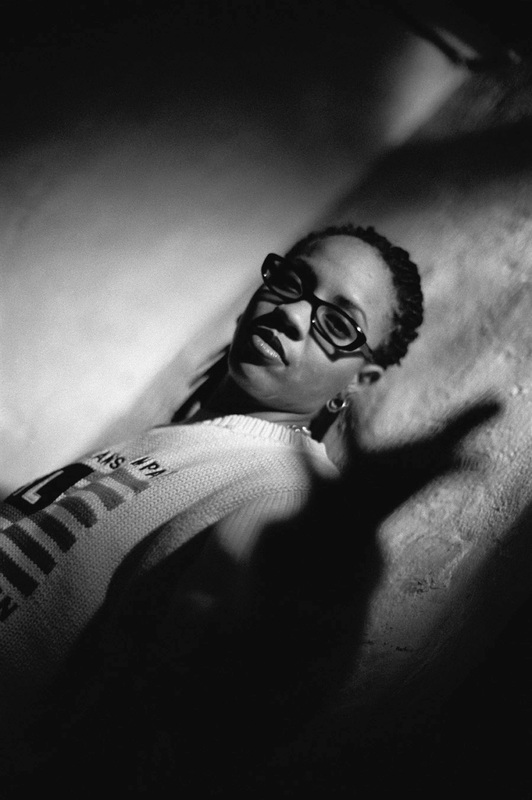 Born and raised in Brooklyn, her foray into the hip hop music world started at the age of 12 and recorded her first song in 1986 called “I Cram to Understand”. The song was released through a label called First Priority Records which then went on to form a distribution deal with Atlantic Records. And the rest as they say is history. MC Lyte went on to give the Hip Hop world her masterpiece debut album “Lyte as a Rock“ in September 1988 which produced the hit singles “Paper Thin” and battle rap “ 10% Dis”, setting the tone for Lyte as her rap career took on a life of its own. Known for her forthright, rugged and raw delivery, Lyte raised the bar for female emcees and upped the ante with her follow up club banger singles, “ Ruffneck”,” Keep On, Keeping On” and “Cold Rock a Party” all noted for their new jack swing sound of the 90’s era. These singles secured MC Lyte as the rapper of choice for her fellow sisters with voices Janet Jackson and Brandy when they asked her to feature on their hit songs….. MC Lyte was the quintessential hip hop vocal to the soundtrack of the New Jack generation! Taking some time out to focus on her myriad of projects has seen the rap stress involve herself in radio, television, fashion and philanthropy, with her foundation Hip Hop Sisters Foundation giving aid and support through mentoring and scholarships to young women seeking careers and support through Hip Hop. It has proven to be her heart work to date and gaining much publicity, respect and industry acclaim across the country. She serves as the President of the Los Angeles Chapter of the Recording Academy, President of her entertainment firm Sunni Gyrl Inc. and stepping back in the lab in 2013, has seen Lyte return to what has made her the iconic performer she is and as the world and her fans await her 7th studio album release in 2014, we get to sample her sound in her new single “ Cravin” released in time for the US Summer this year. MC Lyte is unstoppable in her pursuit of pushing Hip Hop’s boundaries for woman, relentless in her messages of female pride and sense of self and continues to hold rank as one of the industry’s most revered and respected emcee’s, songwriter and voices in this game! Such an honor to talk to you Lyte. You have been out of the mix for a few years now not really focusing much on the recording side of Hip Hop until recently with your new single “Cravin” banging in the clubs. What has been keeping you active in Hip Hop during your non recording years? How does it feel to be back in the mix? I mean it feels great you know, I don’t really feel that I’ve been out of the mix to be honest with all I’ve had going on these past few years. I’ve been really hard at work with Hip Hop Sisters Foundation, with all of the things that it takes to run that properly with Sunny Girl Inc., I got a radio show and I got a new TV show coming so you know I’ve been in the mix. Now with my new single “Cravin”, I am really excited ( laughs). How would you best describe your club banger single “Cravin” to your fans that have waited a while to hear some new material from you? Well “Cravin” is a feel good song, it’s a summer song and to be honest it wasn’t even supposed to be released yet as I’m still working on the album but because it has such a great summer feeling to it, it was either put it out now or wait until next year to release it. The producers that worked on this track definitely did not want to wait it out till next year to release this track so “Cravin” is here! The “Cravin” single boasts some great production and amazing vocals by a new artist – could you share some details about how this track was laid down and who you chose to feature on this track? The feature of the guy singing on “Cravin”, his name is Stan C, his a new artist and he is signed to the Loud Box / Sunny Girl Inc. label so please look forward to him and his new project as well. Tell us a little bit about your label Loud Box/ Sunny Girl Inc. and what your future projects entail? Yeah the new label Loud Box with Sunny Girl Inc., we are looking forward to putting out great music with amazing new artists. We are just celebrating music in a whole new way so please be sure to look out for us, our artists and support our music. Hip Hop Sisters Foundation is a fabulous program geared to helping females wanting to get the right break into Hip Hop. It provides seminars, college scholarships and a positive sisterhood encouraging all women in Hip Hop to protect one another. Yes the foundation is giving away another $100,000 scholarship to the University of Wisconsin, Madison – we are so excited that we are contributing to their future and encourage everyone out there to get involved with the movement of Hip Hop Sisters Foundation. 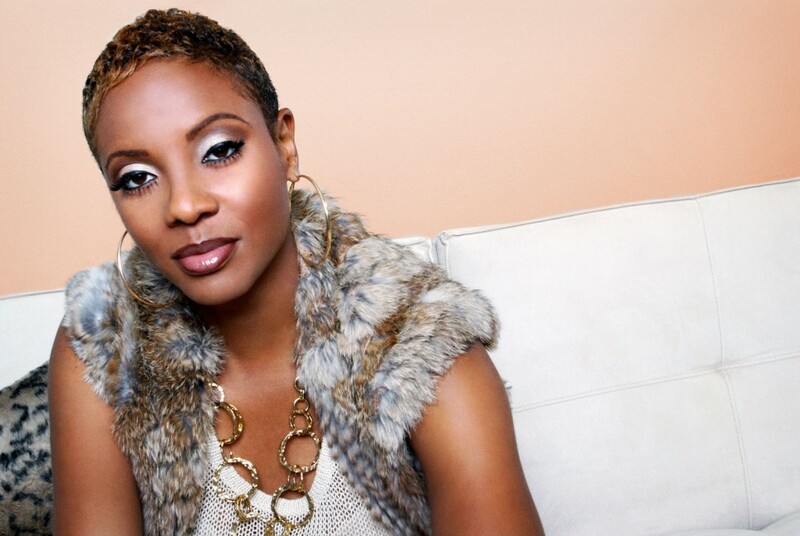 Your thoughts on the life of Hip Hop MC Lyte? That would be thank you to everyone out there for your support over the years so that I can do what I do and do what I love and continue to inspire people through my music. It means the world to me to be able to give back and that’s what Hip Hop Sisters is about so thank you one and all for the platform to share – god bless!